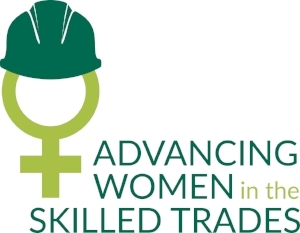 Why Include women in the Skilled Trades Workforce? By 2020, the federal government has stated that 319,000 new jobs will be required in the construction sector alone. This shows the need for more skilled workers, and women will help to fill the need. Diversity in the workplace brings together a variety of skills, experience, and expertise to benefit a company. It is important for all levels of an organization to prepare for, understand, and accept change in order to reap the benefits of diversity, and to create a healthy and productive workplace culture. Having an even gender ratio could increase revenue by roughly 41 percent. A Harvard Business Review study shows that groups with more women consistently worked more efficiently and with greater output than those solely of men. <10% of workers in the skilled trades are women. Social norms and stereotypes are fluid and can change with individual actions and opinions. Non-traditional occupations included fields of medicine and law, but now it is more common for women to be represented in these occupations. Women have proven to be capable of working in the trades. workplaces that work for women work for everyone.